I LOVE the Picasso Cafe brunch menu. 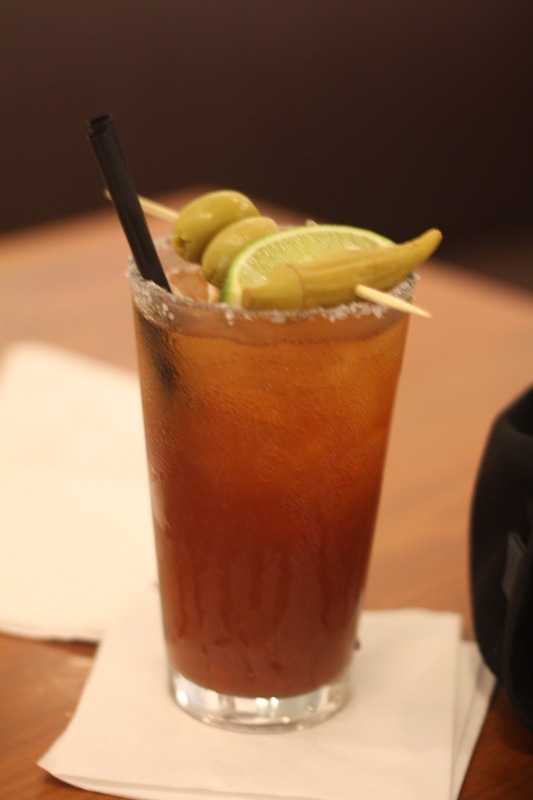 I LOVE the food and the ridiculously brunch-tastic drinks. 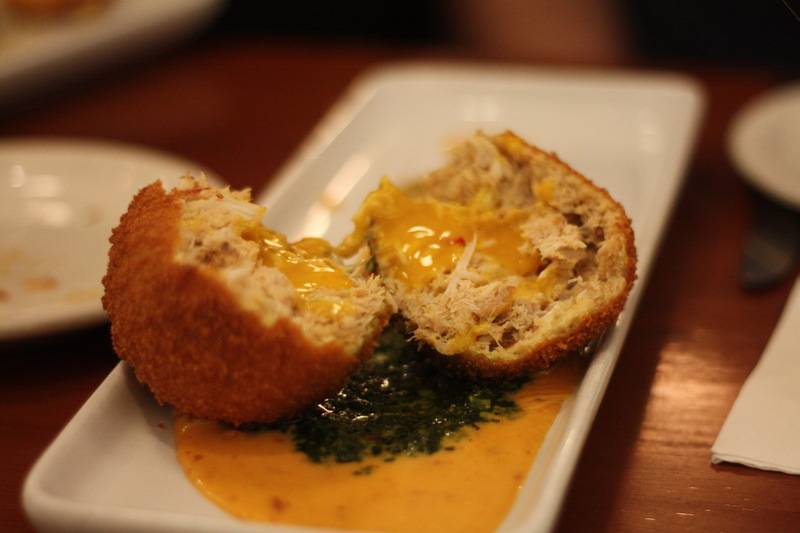 Crab cake Scotch egg. Yes, it does look kind of phallic, you perv. I HATE that everyone else in the city knows about it, because it makes getting said brunch a bit of an ordeal. Even without all the wizard attacks. Nine years ago, owners Shaun Fiaccone and Kim Dansereau took over what had been Galileo’s and installed Picasso. The bar and restaurant made an immediate impact in the area, which was already getting a reputation as home to OKC’s artist community. The menu has changed over time, but the focus on real food has remained. “Real” means fresh, scratch-made and delicious. A few years back, Picasso nabbed the perfect guy to continue that legacy in Chef Ryan Parrott. In the Twitter age, Parrott was already a figure of legend. He’d led the kitchen at Deep Fork, revived Iguana Grill from the dead, opened (the dearly departed) Local in Norman and struggled with a power play at Tamazul in Classen Curve. At Picasso, he found stability and quickly molded the menu to his crowd-pleasing, food-first style. I stopped into Picasso for brunch a few months ago and was delivered an audaciously ridiculous appetizer at the behest of Ryan: a crab cake Scotch egg. Lo and behold, when I returned with my Patreon Massive Review Crew, the crab cake Scotch egg had gone from a delightful one-off to a regular brunch menu item. Praise be. Let’s start with the egg, which should always be served before the chicken. It's like, how decadent can a meal get? A traditional Scotch egg is a hard-boiled egg, packed in sausage and then breaded and fried. It’s a portable heart attack. If you toss one into a crowd of Corvette enthusiasts, it’ll go off like a grenade and there will be bodies everywhere, man. Everywhere. 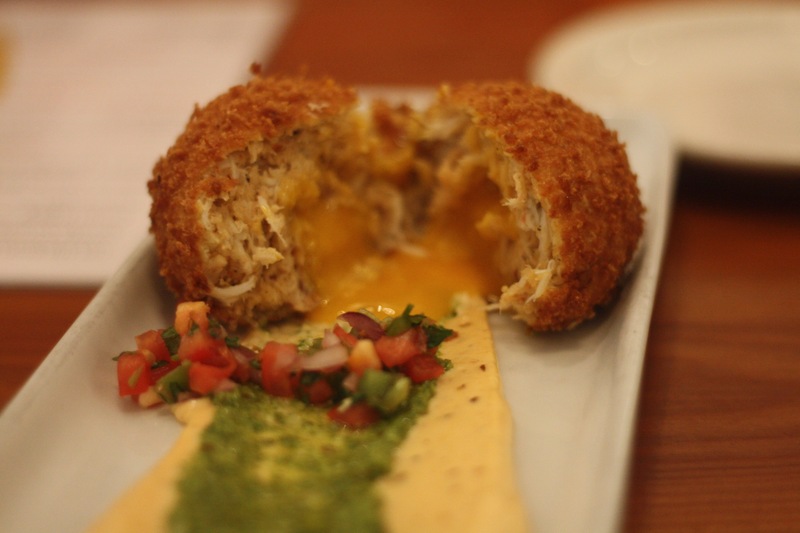 This crab cake Scotch egg ($14) is a whole different animal. The crab cake is delicate and light, with that lovely mild sweetness you get from certain kinds of shellfish. And if it was just a crab cake, I would have gone home sated, satisfied and slightly drowsy. But Ryan, the mad scientist, stuffed a soft-boiled egg yolk inside. So when you cut through the lightly fried crust and through the tender crab meat and into the egg, you are met with the sexiest sight in all of dining—a perfectly runny egg yolk. Under this turducken of happiness is a chipotle hollandaise sauce and basil pesto, providing a sweet and spicy contrast that can be ignored or dipped in at your pleasure. And it is a pleasure. Another delightful appetizer is the extremely poorly named spicy avocado toast ($10). 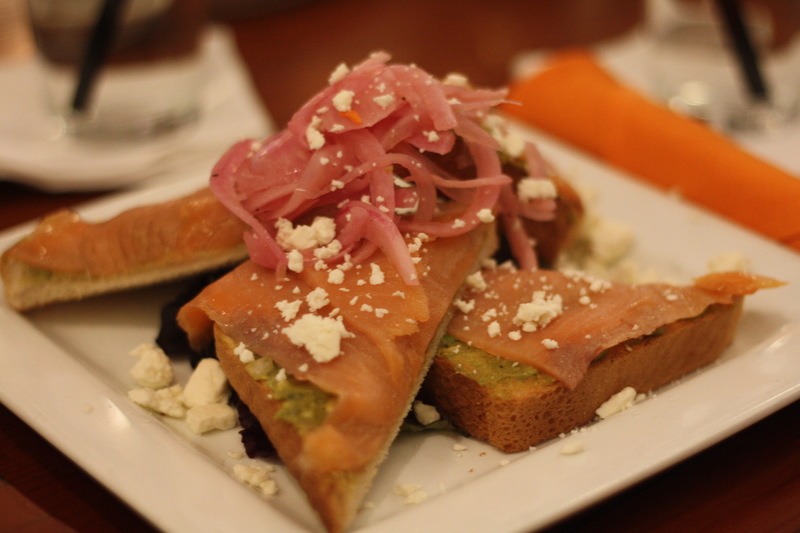 And it’s not that it isn’t toast with avocado and spicy on it, it’s that the name completely glosses over the smoked salmon sitting prominently atop each piece. Yowza. Ripe avocado slices, pickled onions and feta give this a ton of flavor, but that smoked salmon is the real attention grabber. Delicate, with a mild smokiness, it pushes this from appetizer to a full-fledged entree. Our table also got some fried goat cheese ($8) and smoked salmon and avocado spring rolls ($11), which were wonderful. On any other menu, these would be the stars. But much as Clyde Drexler faded into the background of the 1992 Dream Team, it’s hard to stand out on a menu featuring an egg yolk inside a crab cake. What did we order for our entrees? Let’s see what Jennifer Lawrence says. Yes. We got everything. Or near enough that it’s hard to believe none of were taken out in wheelchairs. I love breakfast burritos ($12) and biscuit debris ($12). Love them. But what happens when a breakfast burrito loves a biscuit debris very much? You get one of the best dishes on Picasso’s (secret) brunch menu: The Biscuit Deburrito. Yes. It’s a breakfast burrito filled with eggs, bacon and chorizo and covered in gravy, cheese, pico de gallo and pulled pork. The extremely large and heavily in charge Biscuit Deburrito. Does your day involve a World’s Strongest Man competition (either participating or sitting perfectly still on a couch watching)? Then this is the breakfast for you. 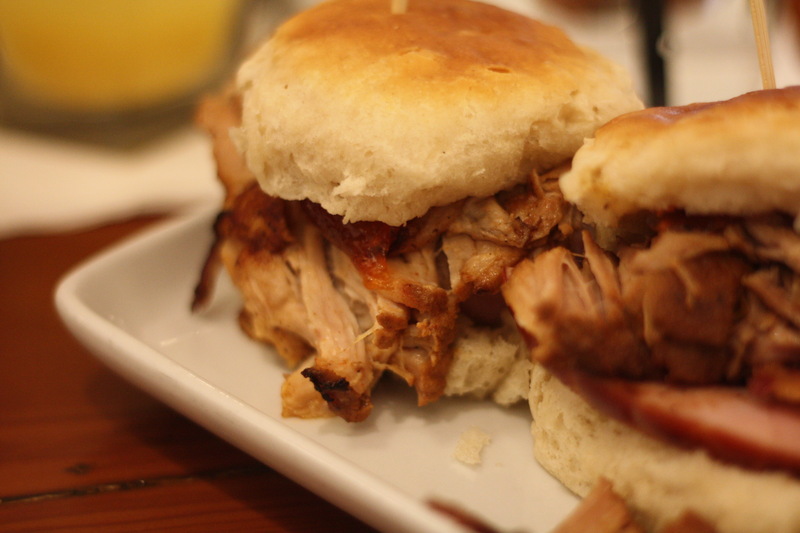 The Three Little Pigs ($11) are three biscuit sandwiches with bacon, ham and pulled pork and a dollop of jalapeno jam. It’s porktacular. The only way this could get more porcine is each biscuit came with a freshly fried pork rind on top. Three little pigs look pretty big to me. Do you like eggs of the traitorous persuasion? Then you’re in luck! Picasso serves four benedicts on the reg—a classic with ham and hollandaise, pulled pork with chipotle hollandaise, garden with arugula, tomatoes, pesto hollandaise and balsamic caramel and a crab cake benny with sauteed spinach and a green chile hollandaise. Hollandaise for daise! But (and this will soon be its own essay), let’s discuss the magic that is a daily special. Our excellent server pointed out that the kitchen had a one-day-only item that was quite intriguing: a breakfast burrito with a chile relleno inside. 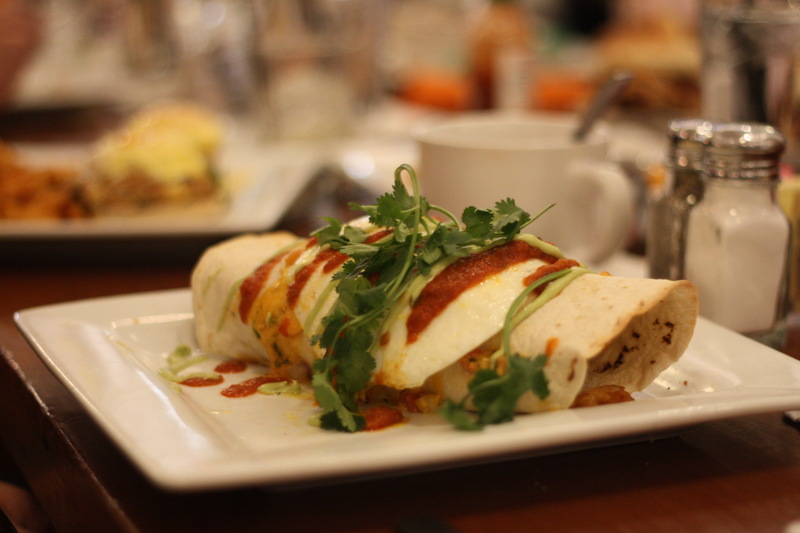 A breakfast burrito with a chile relleno inside is a magical thing. Despite what you’ve heard, specials aren’t always about getting rid of soon-to-expire products (though that’s a good reason, too). Specials are also the creative energy of the kitchen staff coming to the fore. Cooking the same stuff every single day gets old. Specials are outlets for new ideas. And if they’re well-received, they might make it onto the permanent menu. 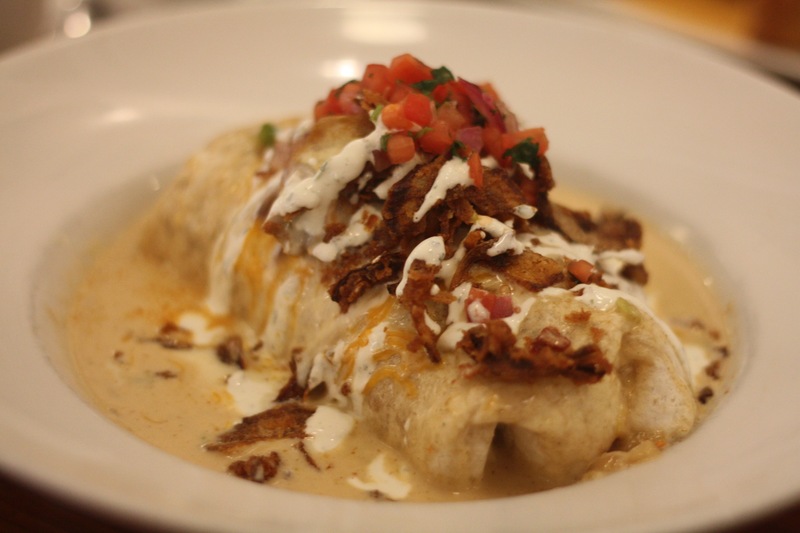 I don’t know if the chile relleno-stuffed burrito sold well enough for menu consideration, but I certainly wouldn’t mind seeing it on special again. It was a delicious treat with an ooey, gooey core or spicy pepper and melty cheese. What’s not to like? Also, if you like alcohol, the brunch drink menu game at Picasso is STRONG. Paseo Sunrise ($7) is like a sweet/tart screwdriver with the addition of grapefruit vodka and grenadine and the Sicilian Lemonade ($8) is the kind of dangerous drink that doesn’t taste like it’s intoxicating until you’re already intoxicated. 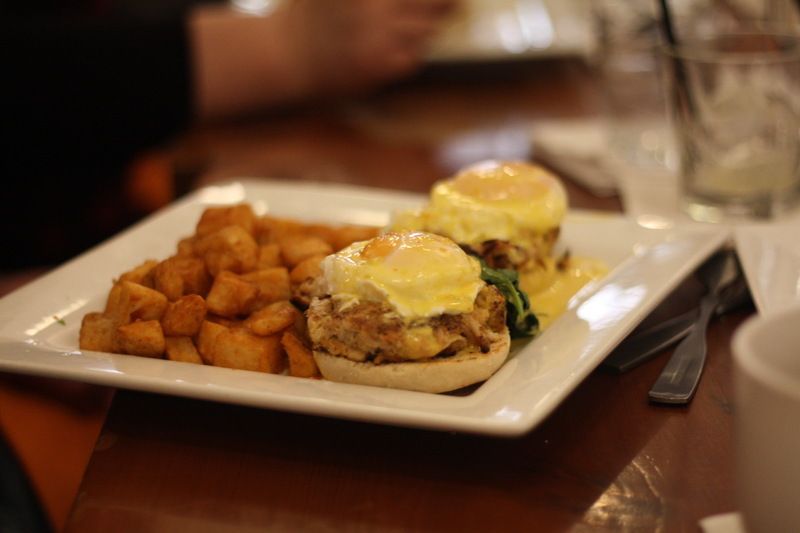 A crab cake benedict. Because why not? So if I don’t like how crowded Picasso’s brunch is, why am I telling you about it? Because it’s really, really good and most everybody already knows. This food is too good to keep to yourself, and by the look of the crowds, it’s already been shared. Do yourself a favor and get a reservation a day or two in advance, especially if you have a large party.